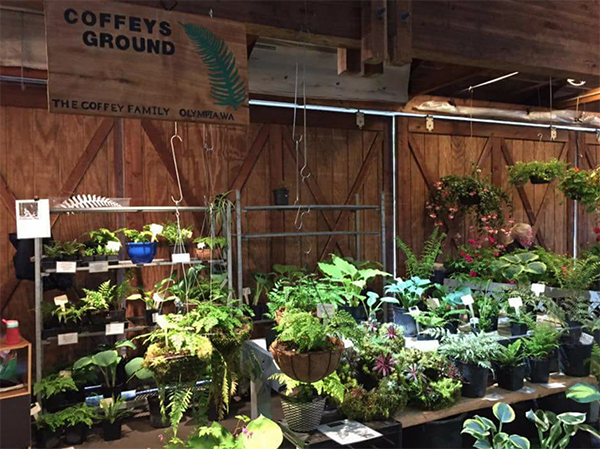 Coffey's Ground is the best place to purchase ferns and hostas that are proven to thrive in the South Sound region. We have a wide variety of plants in many sizes including very unique bird cage perennial hanging baskets. We have recently begun selling rustic wood furniture from wood we harvest from our own property. Visit us at the market Thursday through Sunday, April to September.